We covered this topic HERE in April of 2013 and are excited to update our audience on Japan’s Mitsubishi Regional Jet. 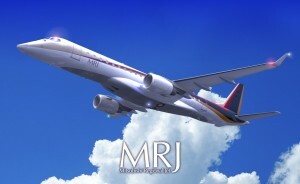 The Mitsubishi Regional Jet (MRG) is ready to make history as Japan’s first new commercial jet in more than 50 years. Japan’s high-speed rail technology and trains are world renowned but the country is excited to enter the realm of original aircraft once again after a long hiatus. The new plane was unveiled this past weekend at the Komaki Minami plant in Nagoya and represents the potential revival of Japan’s aviation industry. The plane’s was tedious and offered many obstacles but Hideake Omiya, chairman of Mitsubishi Heavy Industries, had this to say. MRJs will undergo testing in 2015 and begin commercial flights in 2017.